If you started taking in more calories than usual or cutting back on exercise, you wouldn't be surprised if the numbers on the scale crept higher. But what if you're doing everything the same as you always do, and your weight still goes up? It's time to delve a little deeper into what else might be going on. There are two issues at work with sleep and weight gain. First, if you're up late, the odds are greater that you're doing some late-night snacking, which means more calories. The other reason involves what's going on in your body when you're sleep-deprived. 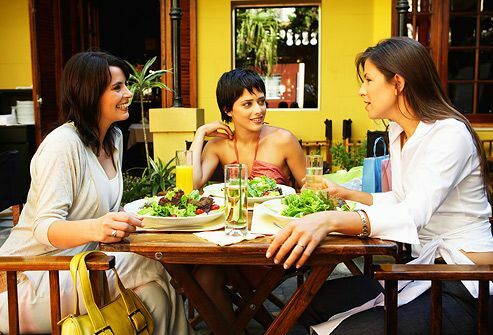 Changes in hormone levels increase hunger and appetite and also make you feel not as full after eating. When life's demands get too intense, our bodies go into survival mode. 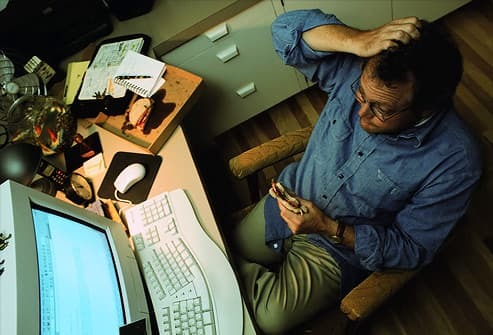 Cortisol, the "stress hormone," is secreted, which causes an increase in appetite. And of course, we may reach for high-calorie comfort foods in times of stress as well. This combination is a perfect breeding ground for weight gain. An unfortunate side effect from some antidepressants is weight gain. Talk to your doctor about making changes to your treatment plan if you think your antidepressant is causing weight gain. But never stop or change your medication on your own. Realize that some people experience weight gain after beginning drug treatment simply because they're feeling better, which leads to a better appetite. Also, depression itself can cause changes in weight. Anti-inflammatory steroid medications like prednisone are notorious for causing weight gain. Fluid retention and increased appetite are the main reasons. 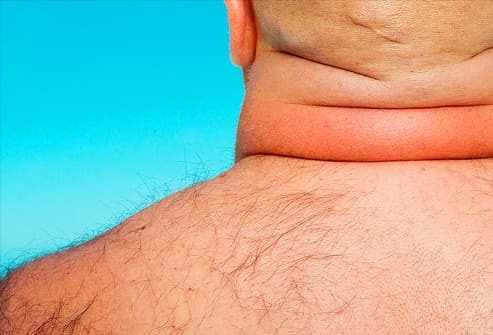 Some people may also see a temporary change in where their body holds fat while taking steroids -- to places like the face, the belly, or the back of the neck. If you've taken steroids for more than a week, don't stop them abruptly. That can lead to serious problems. Check with your doctor first. 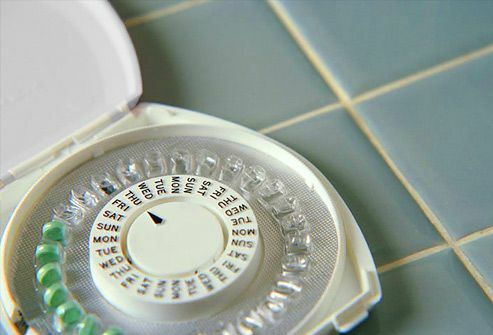 Contrary to popular belief, combination birth control pills (estrogen and progestin) aren't proven to cause lasting weight gain. 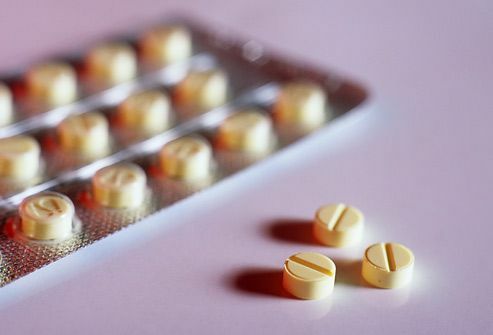 It is thought that some women taking the combination pill may experience some weight gain related to fluid retention, but this is usually short-term. If you're still concerned about possible weight gain, talk to your doctor. If your thyroid (the butterfly-shaped gland in the front of your neck) is not making enough thyroid hormone, you're probably feeling tired, weak, and cold, and gaining weight. Without enough thyroid hormone, your metabolism slows, making weight gain more likely. Even a thyroid functioning at the lower end of the normal range might cause weight gain. Treating hypothyroidism with medication may reverse some of the weight gain. Most women do gain some weight around the time of menopause, but hormones probably aren't the only cause. Aging slows your metabolism, so you burn fewer calories. And changes in lifestyle (such as exercising less) play a role. But where you gain weight may be related to menopause, with fat accumulating around your waist more than your hips and thighs. 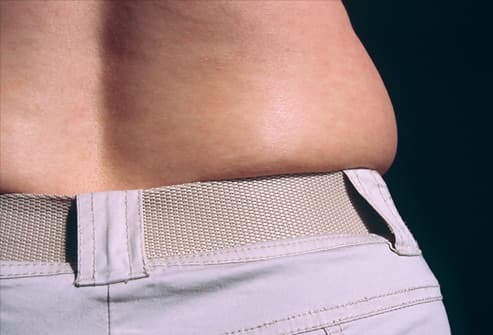 Weight gain is a common symptom of Cushing's syndrome, a condition in which you are exposed to too much of the stress hormone cortisol, which in turn causes weight gain and other abnormalities. 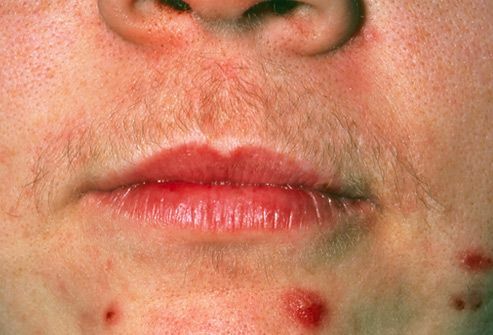 You can get Cushing's syndrome if you take steroids for asthma, arthritis, or lupus. It can also happen when your adrenal glands make too much cortisol, or it could be related to a tumor. The weight gain may be most prominent around the face, neck, upper back, or waist. PCOS is a common hormonal problem in women of childbearing age. Most women with PCOS grow many small cysts on their ovaries. 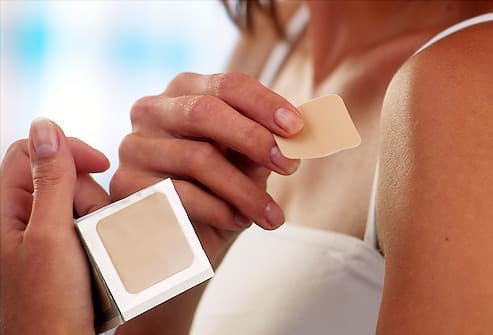 The condition leads to hormone imbalances that affect a woman's menstrual cycle and can lead to extra body hair and acne. Women with this condition are resistant to insulin (the hormone that controls blood sugar), so it may cause weight gain. 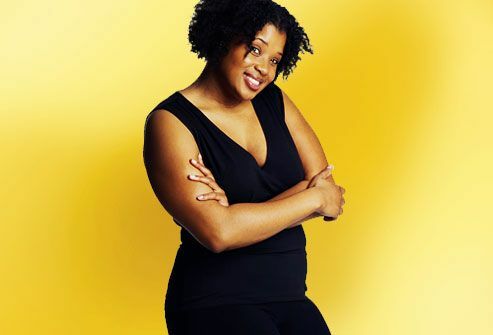 The weight tends to collect around the belly, putting these women at greater risk for heart disease. Quitting smoking is one of the best things you can do for your health. When you quit, you may gain some weight, but perhaps less than you think. On average, people who stop smoking gain less than 10 pounds. You should stop feeling hungrier after several weeks, which will make it easier to help lose any weight you gained. 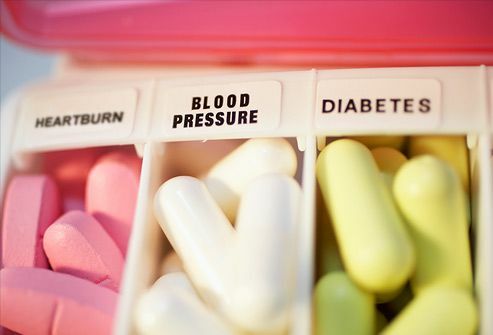 Don't stop taking any medications without first consulting your doctor. Recognize the importance of the drug you're taking. It may be critical to your health. Also, something else may be causing you to gain weight. Your doctor can help you figure out what's going on. Don't compare yourself to other people taking the same drug. 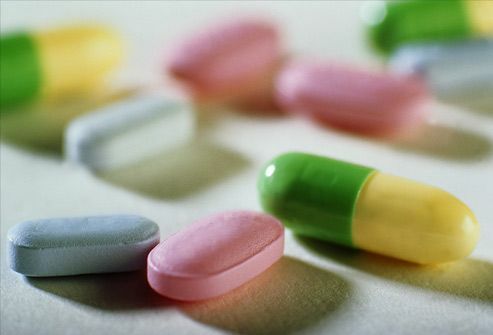 Not all people experience the same side effects on the same drug. Even if a drug caused someone else to lose weight, the same might not be true for you. Remember that if the weight gain is just from water retention, it's not permanent weight or fat. Once you're done taking the drug or your condition is under control, the puffiness from fluid retention may ease. Stick to a lower-sodium diet in the meantime. Check with your doctor about another drug you can take. In many cases, your doctor can switch you to another medication that might not have the same side effects. Learn if the weight gain is from a decrease in metabolism -- from either a medical condition or medication. 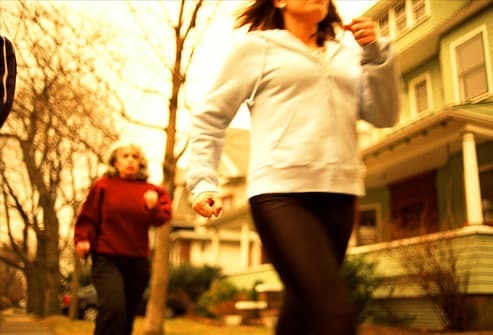 And if so, take the time to participate in metabolism-raising activities. Get moving! (11) Dr. P. Marazzi / Photo Researchers Inc.
(12) Copyright © BSIP / Phototake -- All rights reserved. Azarbad, L. Psychiatric Clinics of North America, June 2010. Daubenmier, J. Journal of Obesity, 2011. Deshmukh, R. Cleveland Clinic Journal of Medicine, July 2003. Edelman, A. Human Reproduction, February 2011. Hospital for Special Surgery: "How to Reduce Corticosteroid Side Effects." 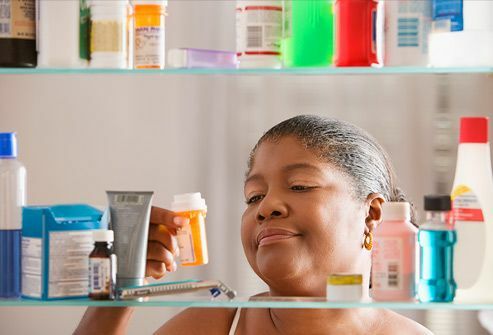 Johns Hopkins Medicine: "Prescription Drugs that Cause Weight Gain." Knutson, K. Annals of the New York Academy of Sciences, July 2008. Leproult, R. Endocrine Development, 2010. Medscape: "The Impact on Sleep Deprivation on Hormones and Metabolism." 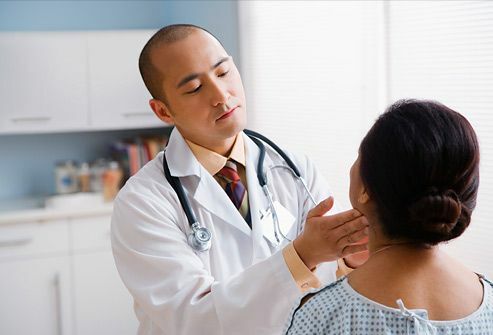 National Endocrine and Metabolic Diseases Information Service, National Institute of Diabetes and Digestive and Kidney Diseases: "Hypothyroidism," "Cushing’s Syndrome." National Institute of Mental Health: "Depression," "Mental Health Medications." Rosenberg, M. Contraception, December 1998. Weight-control Information Network, National Institute of Diabetes and Digestive and Kidney Diseases: "You Can Control Your Weight As You Quit." WomensHealth.gov: "Menopause," "Polycystic ovary syndrome (PCOS) fact sheet."